This article engages with conceptions of equity and justice in protected area negotiations and ties in with recent scientific discourses on the importance of social equity for successful biodiversity conservation. I follow the question of how conceptions of justice shaped discussions surrounding a national park project in Switzerland, Parc Adula. The project was rejected in a public vote in 2016. Drawing on qualitative interview data, this article analyses park negotiations and sheds light on a plurality of senses of justice. Whereas Parc Adula as a bottom-up project based on direct democracy already respected just procedures, perceptions of (in-)justice still informed day-to-day discussions and disputes. 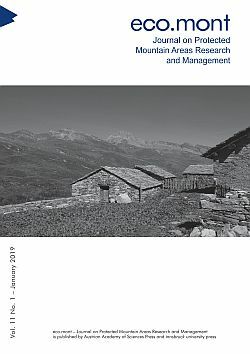 Thus, I argue that understanding justice as a process that reveals itself in disputes, and acknowledging its plurality, can help understand struggles over conservation and regional development.